Will you look at that? It is starting to feel a lot like summer! Probably not so much for 97% of my readers that live in the northern hemisphere so I'll try and keep it down about it around here, but I can make no promises, it is glorious out! 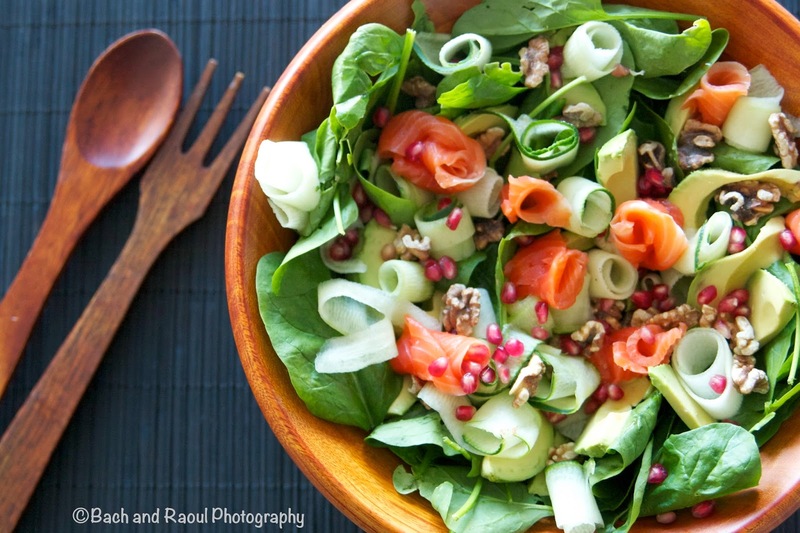 Salads pretty much make themselves in summertime. Why, you ask? No cooking. Beautiful fresh produce. Swim suit season. Need I go on? I don't know about you, but whenever I have a wholesome nutritious salad for dinner, I feel like giving myself a good pat on the back. "Well done, Bach! 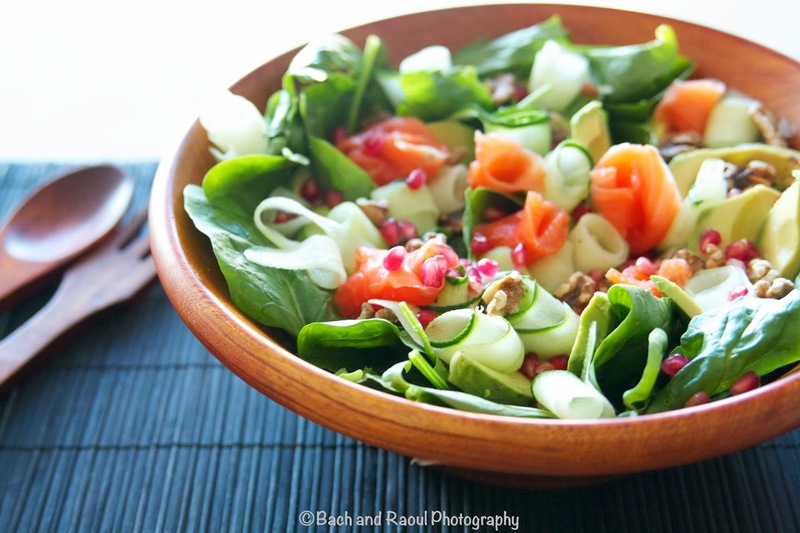 You are getting healthier already!" You don't do that? Just me then? Oh well! 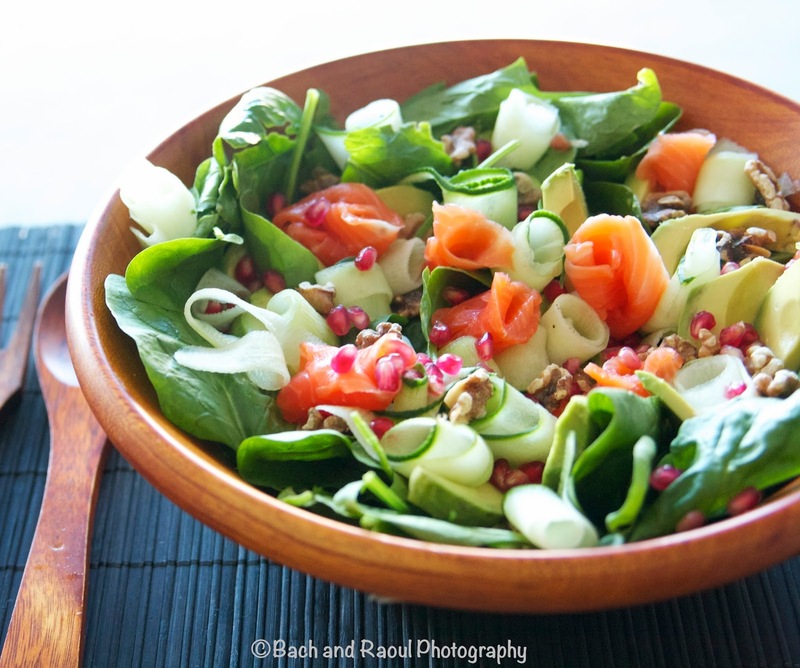 Rolled up smoked salmon slices , cucumber ribbons and pomegranate seeds on a bed of baby spinach makes this salad resemble a summer bouquet. It's hard not to feel good about yourself when you're eating something this beautiful. Toast the walnuts. I toast them for a couple of minutes in the microwave, checking in between. 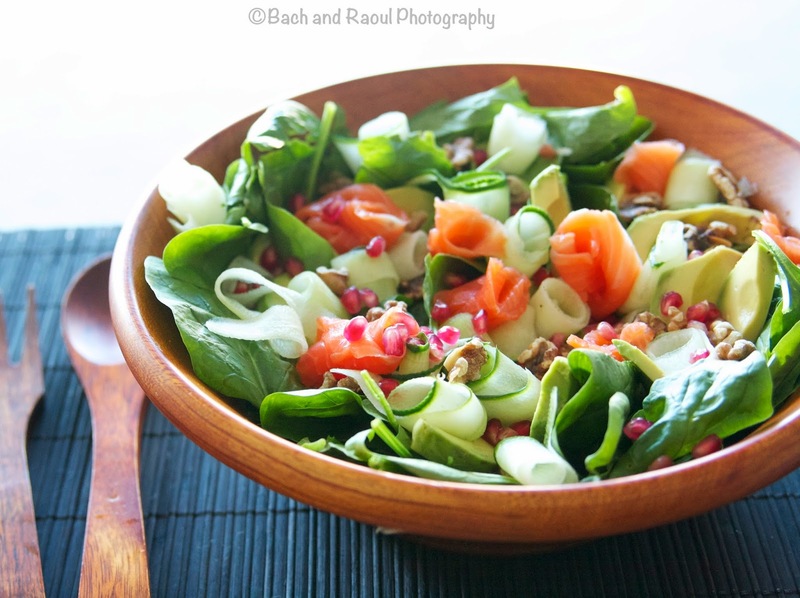 Place the baby spinach in a salad bowl. Slice the avocados and add the slices in the bowl. Slice the cucumber in ribbons using a vegetable peeler. Roll up the slices individually and place them on top of the avocados. 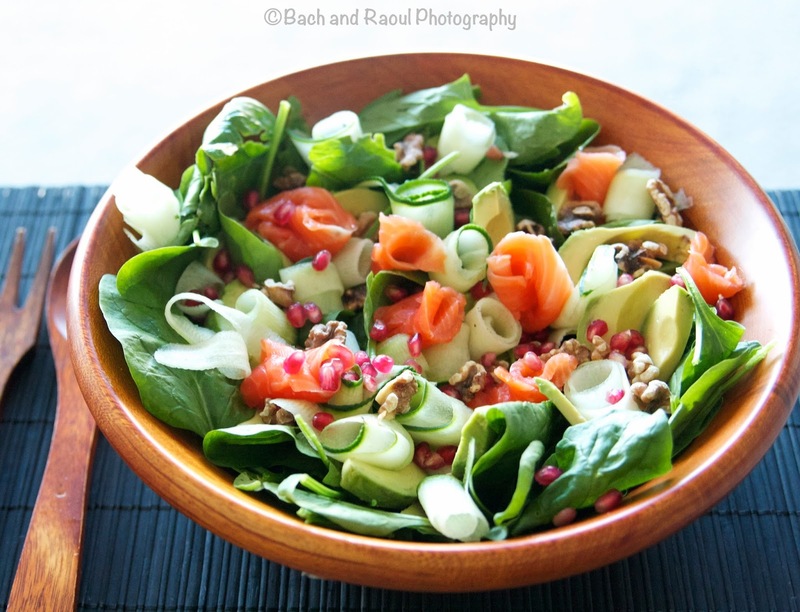 Roll up the smoked salmon slices and place them next to the rolled up cucumbers. Sprinkle the pomegranate seeds and toasted walnuts. Crack and sprinkle sea salt and pepper and drizzle with olive oil.